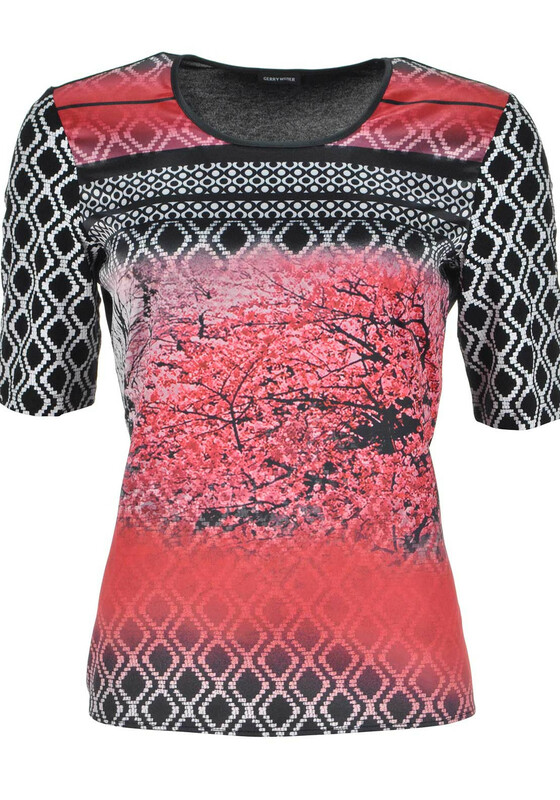 Stand out from the crowd with this eye-catching short sleeve top from Gerry Weber which would look great worn with black trousers for a lunch date with friends. 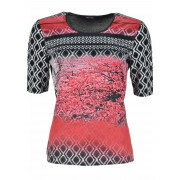 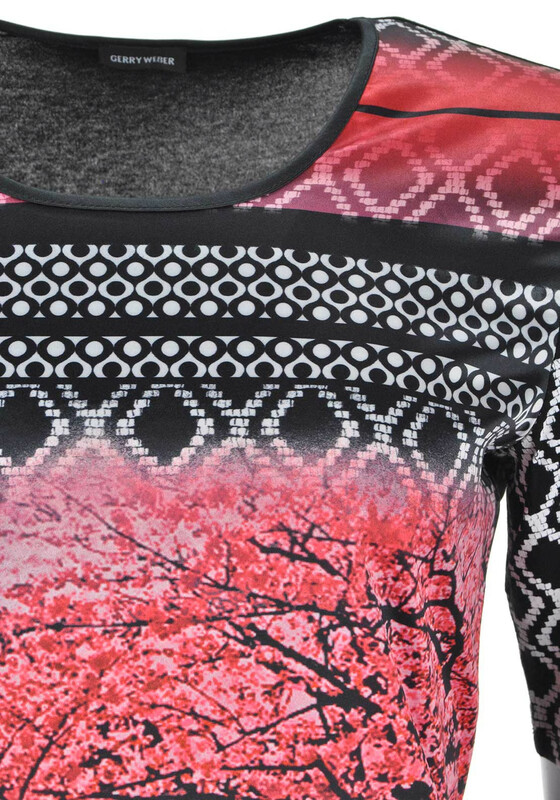 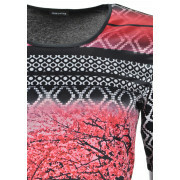 The front is crafted from silky fabric with a dramatic red toned forest print in the centre. 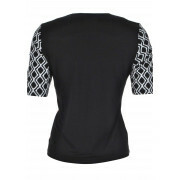 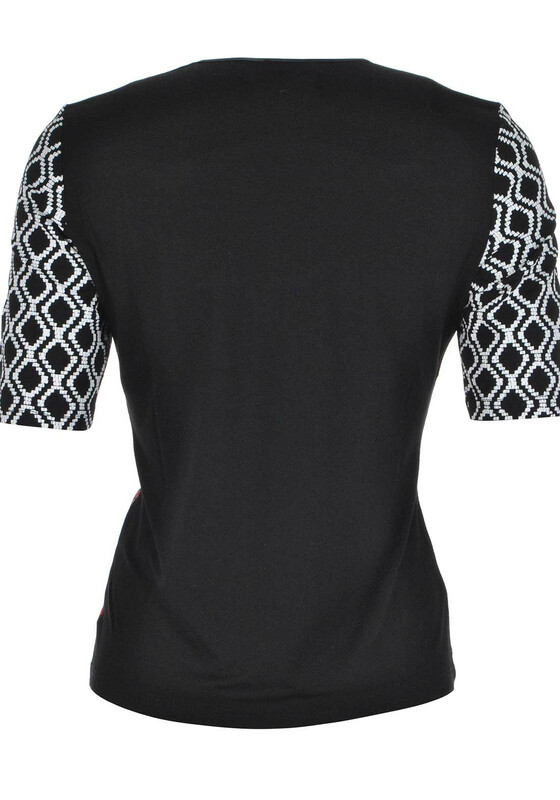 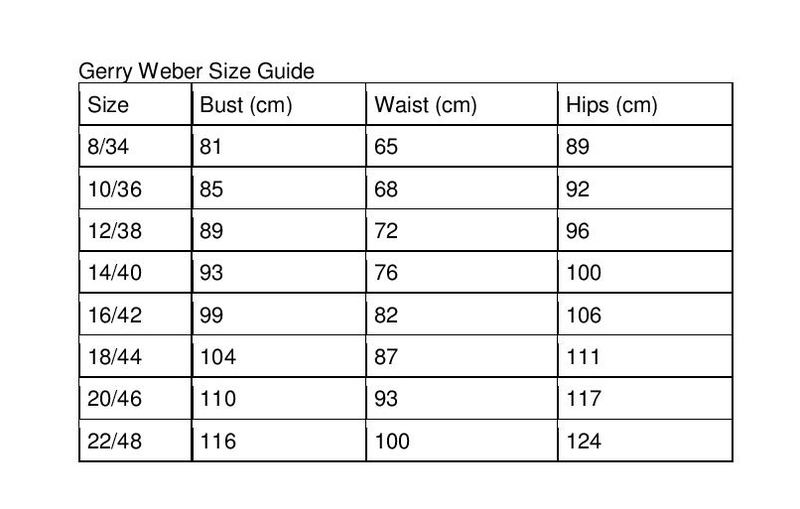 The back and geometric print short sleeves are made from comfortable jersey material.